It’s been a while since I’ve talked about my monthly favorites and I’m so excited to share the products that I’ve been loving and using throughout June. I’ve compiled some makeup, skincare, natural hair products and a couple of fashion piece. Plus I’m throwing in the book that has been such an inspiration and I’ve enjoyed reading this month. 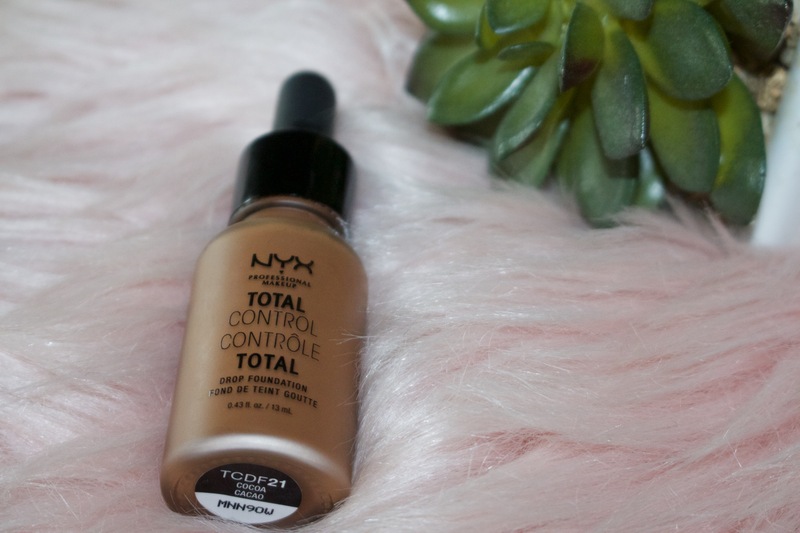 NYX Foundation – When I first used this foundation, I didn’t have high expectations, however, it has become one of my favorite foundations at a drugstore price. The shade of the foundation (cocoa) matches my complexion very well, plus it dries down to this wonderful matte finish and does not move. I tend to sweat on the sides of nose, upper lip and brow so most foundations don’t last in these areas. The NYX foundation dries down so well, that when I sweat still looks flawless. LOVE IT! 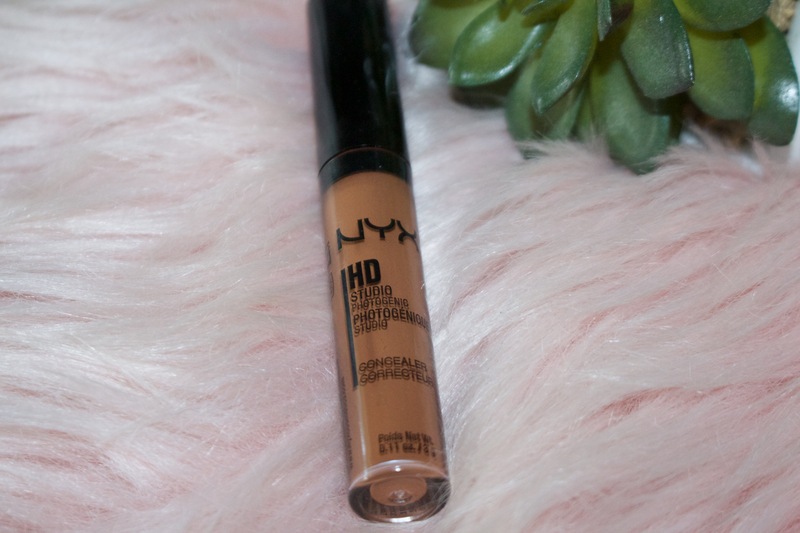 NYX Studio Photogenic Concealer – This concealer is my most used concealer. I’ve purchased at least three at this point and l will continue to buy them. The concealer does not crease at all and dries down to a nice finish that doesn’t feel drying to the undereye. The shade matches my complexion well and blends out easily with a concealer brush. Morphe Lip Gloss in Shimmy – I went to into the Morphe store at the Los Cerritos Mall for the first time and of course spent way too much money on brushes, but I also picked up one of their new lip glosses. The one I picked up is called Shimmy and it’s a light apricot shimmer gloss and I love it! I literally had a guy tell me my lip gloss was popping in the grocery store the other day. And yes, he said, “Your lip gloss is poppin.” I was shook… and when I got in the car, the first thing I did, was flip down the sun visor, opened the mirror and I was in complete agreeance. My lip gloss was hella poppin! Yasss Morphe! 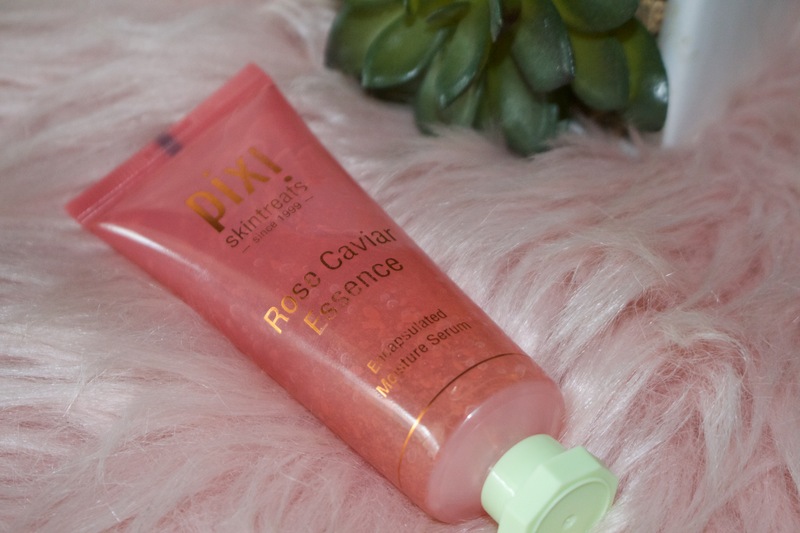 Pixi Rose Caviar Essence – Skincare is my weakness, I love finding new products to make my skin feel soft and look radiant. I’ve been wanting to try an essence, but a lot of well-known essences on the market are expensive and I don’t like spending a lot of money on items that I’m not sure will work for my skin type. When I heard that Pixi had a Rose Essence I knew I had to try it and thought it would be budget friendly since I can pick it up at Target. Now, I’m not going to lie, the essence is about $24 at Target…Yes… $24 I was a little shocked but I wanted to try it out and I absolutely love it. Adding it to my routine, I’ve noticed a smoother skin and beautiful glow. I’ve also added it to undereye pads to give more moisture to the undereye. Simple Moisturizing Facial Wash – My skin is not sensitive, but I had a coupon to try out this cleanser and I’ve fallen in love. It feels so nourishing to the skin. My skin doesn’t feel dry after cleansing but feels soft and clean. I also use this cleanser with my Clarisonic which give me a deeper skin. For the cost, it’s definitely one of the cleansers that I will also keep in my stash. Eco Style Gel with Coconut Oil – I purchased this gel before the “Cancel Eco Style” campaign was launched. Which may not matter, because I’ve been using Eco Style gel for years and it just works on my hair type. I usually use the Argan Oil Ecostyle Gel, but when I saw this one at my local beauty supply, I wanted to give it a try. My first time using this gel, my hair felt dry and I didn’t like it at all. Then, I decided to give it another chance, this time I spritz with more water and my curls pop! I’ve been hooked ever since. My hair doesn’t dry out when I use more water, it maintains it’s shine and curl formation. 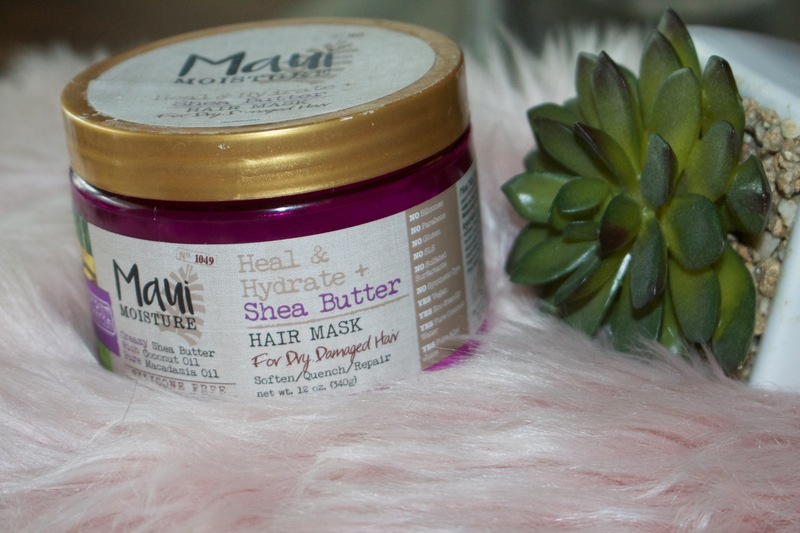 Maui Moisture Heal and Hydrate Shea Butter Hair Mask – I found this hair mask at Ulta a few months ago, but it sat in my cabinet until recently. I started using it once a week for my deep conditioner in the last month and I’ve fall in love! My hair feels so soft, manageable and well condition. As I’m starting to grow out my big chop, I’m looking for conditioners to really give me the mositure needed for growth and this has definitely aided in my growth this month. Ava & Viv Blue Dress – I’m not a huge floral girl but this dress was calling me when I spotted it at Target. 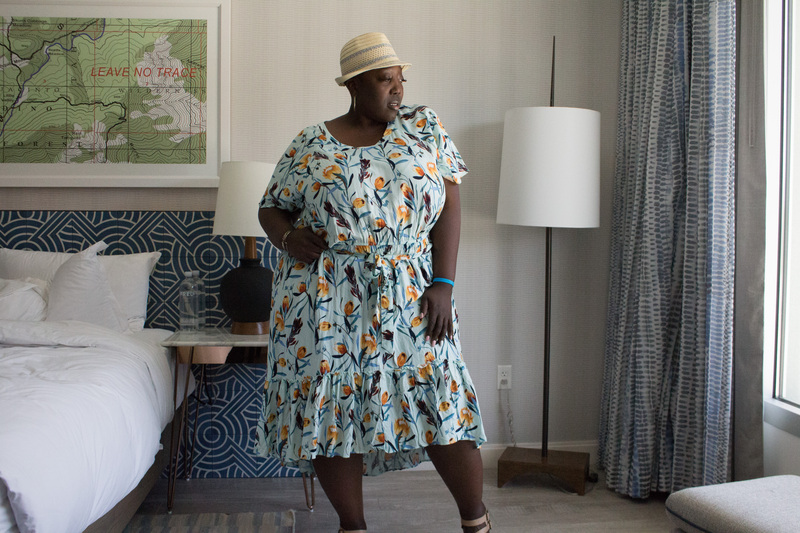 I purchased it and wore it in Palm Springs recently. It was perfect for that atmosphere and I’m looking forward to wearing this more throughout the summer. Oh…did you see that I’m on the Target website wearing this dress? Fedora -There is nothing like a fedora during the summer. It compliments outfits perfectly and looks so chic while you are brunching. This one is from Target and it has served me very well so far and we are only in June. I’ve worn this hat with dresses, short and boyfriend jeans for that casual chic look. Don’t sleep on a good fedora! 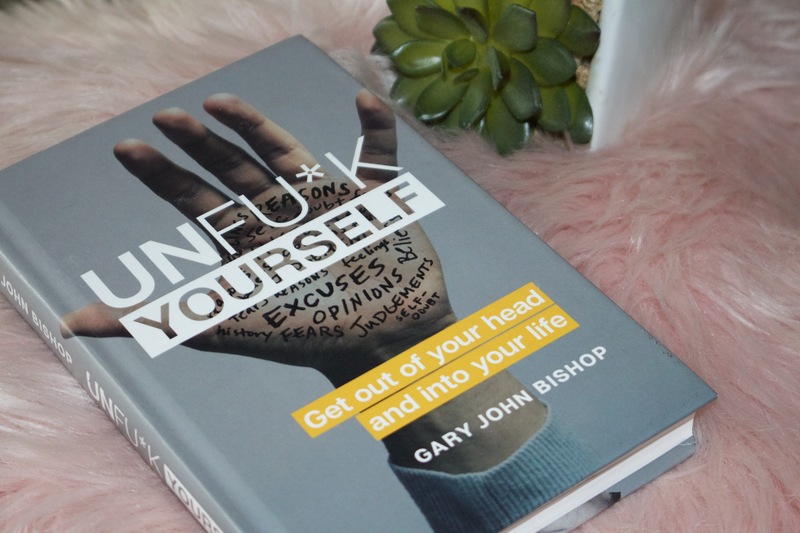 Unfu*k Yourself – We all have the internal negative self-talk that will talk us out of following our dreams or keep us in a state of fear. Well, this book turns that negative self-talk into positive productive talk and shows how you can make those changes over time starting today so you can not let fear hold you back from following your dreams. It’s been a very positive read for me and something I needed because I’m constantly keeping myself down with my self-talk but with the techniques and lessons from this book, I’m starting to notice the changes I’m making. Well, those are all of my favorites for the month June. Do you have a favorite? Share with me in the comments below! What’s in My Ipsy Bags?